With a population of nearly two million, several high-profile annual events, and a history spanning centuries, it’s not hard to understand why planning a trip to Munich can be an imposing task. Even if you simply visit during Oktoberfest (which actually takes place mostly during September), there are dozens of variables to consider. No matter what made you choose Munich in the first place, follow these tips to plan the ultimate trip. Munich is infamous for its ambiance during the early autumn, when beer buffs from around the world gather in its Old Town to give a collective “Prost,” but the Bavarian capital is blessed with four seasons, and you owe it to yourself to take advantage of them. Indeed, you could argue that frothy German lagers are even more refreshing during Munich’s hot summers, while there are few experiences more relaxing than a spring day in the Englischer Garten, Munich’s largest green space. Winter is also an amazing time to visit Munich, for a few reasons. First and foremost, because heavy snows give Munich attractions like Frauenkirche and the Neues Rathaus an almost ghostly quality, to say nothing of the Bavarian Alps that surround the city, which are the perfect place for a ski trip. 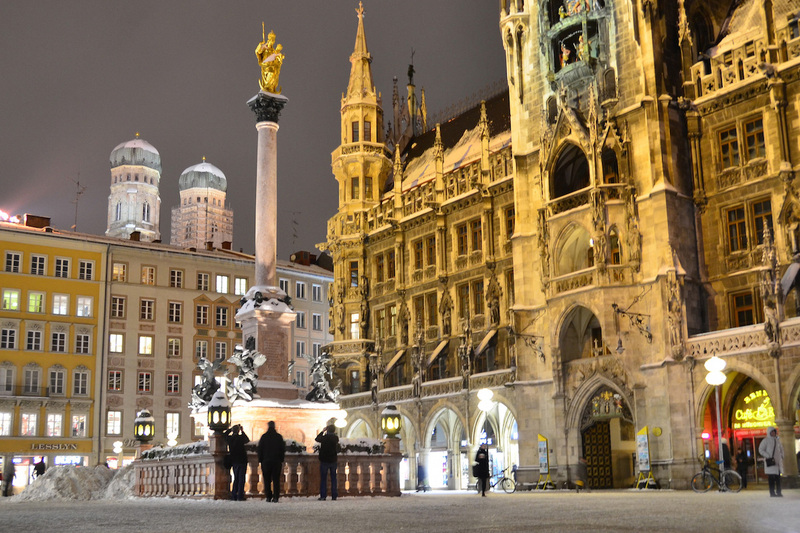 Plus, Munich’s winter prices are as low as its temperatures, offering you the best bang for your euro. Whichever season you choose to visit, don’t forget to do a bit of research on cheap hotels in Munich before your trip. Munich isn’t as heavy on tourist attractions as other German cities like Berlin and Hamburg, but there’s nonetheless plenty to discover – don’t needlessly limit yourself on time. This is especially true if Munich is your first stop in Europe after arriving from overseas, in which case you should give yourself a couple days simply to relax. In general, an ideal amount of time to spend in Munich is three full days: one to explore the museums and historical buildings in the Old Town, another to sample food and beverages and to relax amid nature, and one more for a day trip to somewhere else in Bavaria. One day trip, or many – there’s so much to do in Bavaria that you could easily spend a few weeks exploring it. The most popular day trip in Munich is undoubtedly Schloss Neuschwanstein, a medieval castle perched on a bluff in the Bavarian Alps, which seems culled right out of a fairy tale, especially when it’s covered in winter snow. Speaking of winter in the Alps, there are few better times or places to test your skiing or snowboarding skills, or simply to relax with your friends and loved ones. Munich Airport is one of Germany’s largest international gateways, which makes it the perfect place to begin your trip to Germany or Europe as a whole. Even if you only stay in Munich itself for a few days, use the city as a jumping-off point for a train trip through the Fatherland or a backpacking adventure across the European continent. No matter how you decide to structure your trip to Munich, the most important thing is to go with a sense of adventure, an open mind, and a resolve to be present in every moment. Prost!